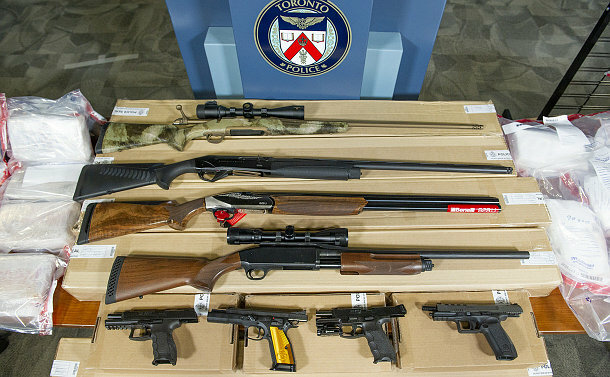 A total of 25 firearms and over $8 million in drugs were alleged to have been seized during a major Toronto Police operation started in February 2017. Members of the Organized Crime Enforcement Drug Squad conducted the investigation into an alleged illicit drug network operating in the city and the surrounding the area making six arrests. At least two of the vehicles were outfitted with customized trap compartments alleged to have been designed to smuggle drugs across borders. 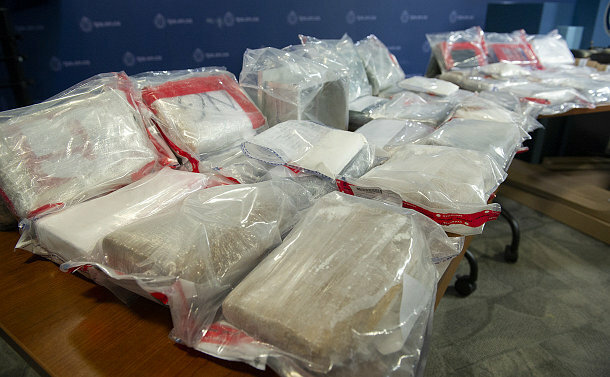 The value of the drugs seized is estimated to be between $8,103,096 and $11,043,686. 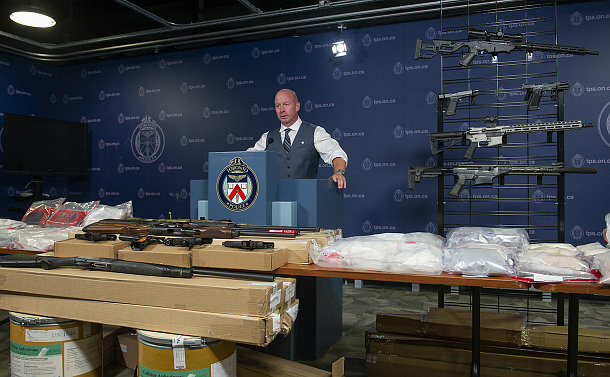 At a news conference at police headquarters on August 2, Detective Operations Staff Superintendent Myron Demkiw said the investigation began to unfold when it became evident that there were two distinct groups involved in the cocaine and heroin operation and that large quantities of the drugs were being smuggled into the country and making their way to the Greater Toronto Area for distribution. It’s alleged that the drugs were coming through the border from the United States. The drugs and firearms were on display at the news conference. Police are alleging that one of the firearms, a 12-guage shotgun, was in very close proximity to large quantities of controlled substances. “Notwithstanding that all these firearms are non-restricted and/or registered by one of the individuals in this investigation, it is safe to say that when you have firearms and large amounts of controlled substances in combination, that is a very dangerous combination,” said Drug Squad Acting Inspector Steven Watts of the Drug Enforcement Squad. 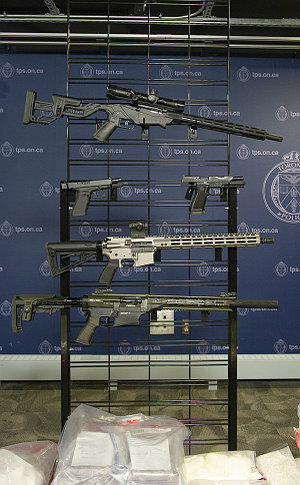 The firearms were seized under the Public Safety section. Lorenzo Lam, David Littledale, Trung Duc Pham, Quynh Vu, Duc Hoang and Mylee Kavalak face numerous drug and firearms charges. Toronto Police is seeking assistance in locating 34-year-old Jorvannie Peart who is wanted in connection with the investigation. In order to assist with the investigation, the Drug Squad requested the assistance of the Asian Organized Crime Task Force, a joint force unit comprising investigators from the RCMP, Canada Border Services Agency, the OPP, York Regional Police, Peel Regional Police and the Toronto Police Service. Anyone with information is asked to contact police at 416-808-2500, or give a tip to Crime Stoppers anonymously at 416-222-TIPS (8477), online at 222tips.com, text TOR and your message to CRIMES (274637).